Not too far away from Paving Place HQ is the fabulous, 18th century Catton Hall and Gardens – home to the Seasoned cookery school. At Seasoned they offer cookery courses on everything from bread baking to mastering Indian cuisine! But what really got us excited is their fantastic range of Weber barbecue courses. Certified by Weber, you can choose from 4 courses: the art of charcoal, seafood essentials, American barbecue and Weber essentials. 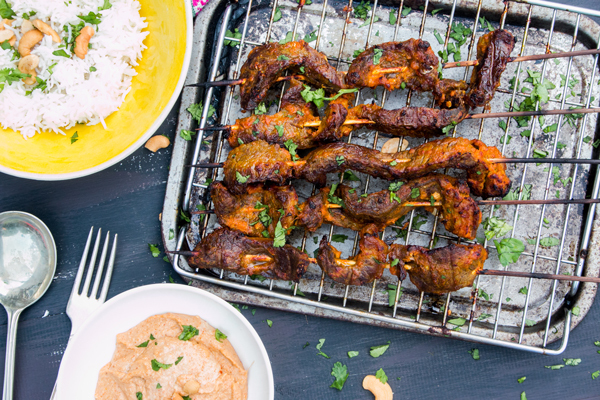 And to whet your appetite even further they’ve given us 2 delicious recipes to share with you: Jerk Pork & Pineapple Burgers and Beef Kebabs with a Cashew Dip. 1. In a bowl mix together the pork mince, jerk seasoning, spring onions and coriander stalks. Form into four burger patties and chill in the fridge for 30 minutes while you fire up the BBQ and get it to heat. 2. Lightly brush the burgers with olive oil the transfer to the barbeque grill and cook for 10-12 minutes or until cooked through. 3. Drizzle the pineapple with the lime juice then place these rings on the BBQ until they begin to caramelise. Lightly toast the brioche buns on the barbecue too. 4. 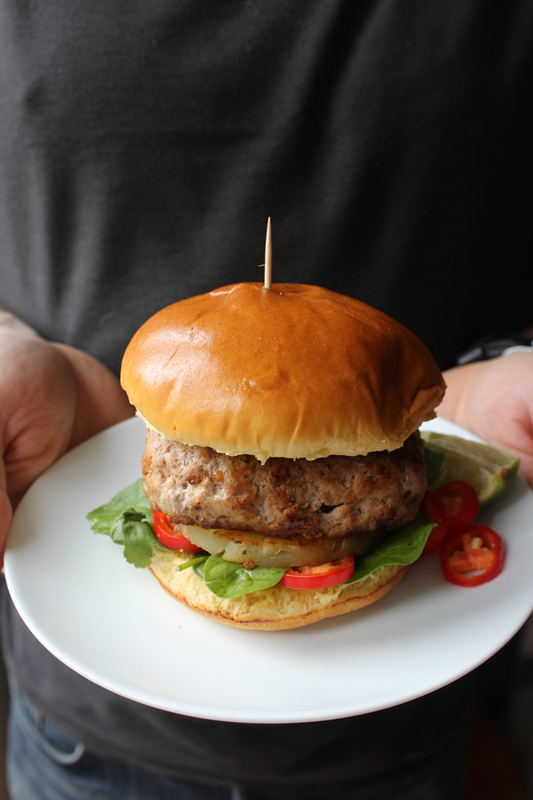 Serve the burgers in buns with the salad leaves, coriander leaves, sliced chilli and pineapple. 1. Mix together the yoghurt, ginger, garlic, garam masala, salt and coriander stalks. Stir through the beef cubes and allow to marinate for up to 12 hours in the fridge. 2. When ready to cook thread the beef onto a skewer. Cook the kebabs on a hot barbeque for a few minutes each side until cooked. 3. While the kebabs are cooking make the cashew dip. Put all the dip ingredients in a blender and blitz until smooth. 4. Serve the kebabs together with the dip and a side salad.